Peter The Great was undoubtedly the most important Tsar in all Russian history. He forced Russia to become a modern state, imitating the western European powers. He formed an army and navy, and defeated the Swedish invaders, though his wars against the Turks were less successful, and founded new industries to provide the armaments. He built a new capital, St Petersburg, on the Baltic coast at the mouth of the Neva, employing Italian architects. He forced the nobles into a lifetime of service to the state, compelling them to cut off their beards, wear western dress, and speak French. He abolished the office of Patriach of the Orthodox church, and brought it under the control of the state. 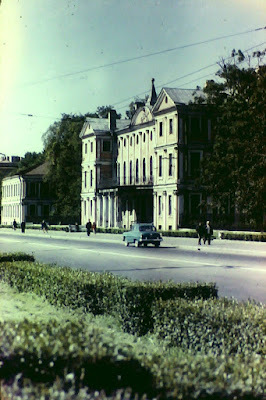 (The Patriachate was restored by Stalin, of all people!). As with most revolutions, this was largely paid for by the peasants, who made up 90% of the population, and were reduced to ever-more oppressive serfdom. Like many great men, Peter was disappointed with his son, Alexis, who showed neither the desire nor the capacity to rule, and associated with the most reactionary elements, opposed to Peter's reforms. In 1716 he fled abroad. In 1718 he was persuaded to return, only to be arrested and accused of treason; and in November of that year he died, presumably of the savage floggings he had received. His friends and followers were tortured and executed in a variety of prolonged and ingenious ways. He left a son and daughter, in neither of whom did Peter take much interest. This left the Russian throne without an adult male heir. In 1721 Peter issued a decree that the Tsar had the right to name his successor, but then in January 1725 he died, without naming anyone! For the rest of the 18th century, Russia was ruled almost entirely by women. Not until 1796 did the Russian throne pass from monarch to son; instead there were coups, dramatic rises and falls of courtiers (resulting in the exile and sometimes the execution of the losers), and occasional murders. It all depended on who had the confidence of the elite Guards regiments and the powerful ministers and courtiers. Peter's only direct descendants were all too young to rule personally. They were Peter, the son of the unfortunate Alexis, and two daughters, Anna and Elizabeth, of his second wife, Catherine. This woman, whose real name was Martha, was a 19-year-old Lithuanian peasant girl and camp-follower who had first attracted Peter's attention in 1703, and had borne him several children before they were officially married and her name changed to a Russian one. Now, immediately on Peter's death, his right-hand man Prince Menshikov rallied his supporters, won the support of the commander of the Guards, and had Catherine proclaimed Empress. Catherine had no lust for power. Her principal activity seems to have been enjoying marathon drinking bouts with her friends. During her brief reign her country almost became involved in a war with Britain, which was becoming increasingly alarmed at Russian penetration of the Baltic. Then in May 1727 she died. but his limitless ambition and extreme greed had made him many enemies. They now moved against him, and he was stripped of all his offices and exiled to Siberia, where he and his wife soon died. But, as often happened in Russia, the pendulum eventually swung back,and his descendants returned to royal favour and power under Nicholas I. Whether Peter would have become an effective Tsar, we shall never know. The fact that he moved the capital back to Moscow suggests that he may have tried to reverse some of his grandfather's reforms. But then in January 1730, on the day originally set aside for his wedding, at the age of only 14, and he died of smallpox. Anna was the daughter of Peter the Great's invalid half-brother, Ivan, who had ruled as joint Tsar with Peter for a few years. She had been married to the ethnic German Duke of Courland (more or less modern Latvia), but he had died of drink soon after the wedding. She was now 37 years old,and was living a tedious provincial life when she was astonished to be approached by a group of prominent courtiers, who offered to make her Empress, provided she signed a contract which effectively left all power in their hands. Anna was quick to accept, and made her way to Moscow, where she cultivated the support of the Guards and then publicly tore up the contract she had signed! Thenceforth she would rule on her own terms. Anna is described as a large, coarse woman, with cheeks "as big as a Westphalian ham". She had a lover, Biron, who had begun life as a groom, but whom she now raised to the position of Grand Chamberlain and great wealth. 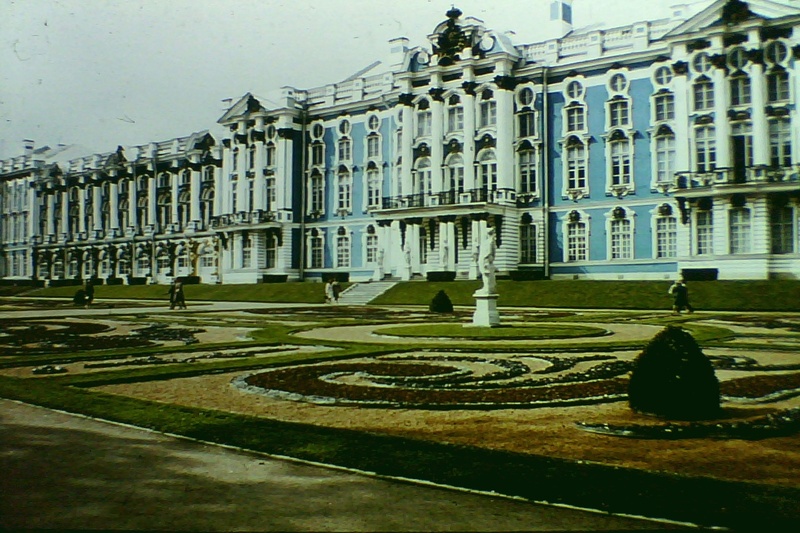 She returned the government to St. Petersburg, where she employed the Italian architect Carlo Rastrelli to rebuild the Winter Palace. Under her rule, Russia became involved in the War of the Polish Succession from 1733, but without any notable success. 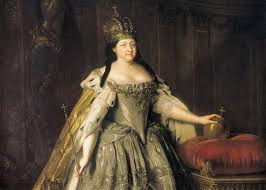 Anna was childless, and was determined that the succession should not pass to the beautiful young Elizabeth, the daughter of Peter the Great and Catherine. Instead she nominated her own niece, another Anna, the teenage daughter of her sister and the German Duke of Mecklenburg. Accordingly in 1739 it was arranged that Anna should marry Prince Anton of Brunswick. The wedding duly went ahead, despite the bride's obvious reluctance, and a male heir, Ivan, was born in August 1740. This came none too soon, for the Empress was seriously ill that autumn. In October she was able to present the baby to her courtiers as Russia's future ruler, but then a week later she died. The baby-emperor was now proclaimed as Ivan VI, with his mother as regent. Unfortunately, Anna soon showed herself inadequate for the position, and became widely unpopular. The time was right for another coup. 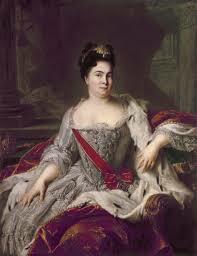 In the middle of the night in late November 1741, Elizabeth, the only surviving child of Peter the Great, 32 years old. donned a military breastplate and was driven through the snow to the barracks of the Preobrazhensky Guards. The sight of this blonde Amazon invoking the memory of her mighty father was too much for the soldiers. 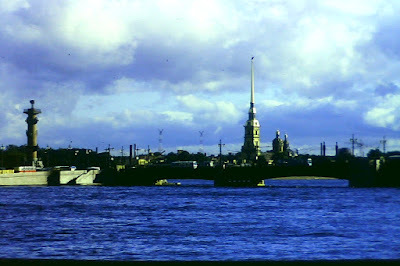 They proclaimed her as Empress and sent squads throughout St. Petersburg to arrest Anna and her supporters, who were shortly afterwards imprisoned in Arctic fortresses. There was no resistance. The baby ex-Tsar Ivan was taken from his parents and imprisoned separately, with strict instructions that his true identity must never be revealed to him. We shall deal with his tragic end later. A number of prominent people were exiled. Later, two ladies of the court who were accused of plotting with Anna were flogged and had their tongues ripped out, and the men involved were executed. Elizabeth was childless. It was never certain whether she had legally married her lover Razumovsky, a Cossack villager who had first attracted notice as a choirboy with a beautiful voice, and was now nicknamed the "Night Emperor". Her elder sister Anna had married the Duke of Holstein in Germany, and died there at the age of just twenty, leaving a son, Peter, who was now thirteen years old. This youth was summoned to Russia, to be instructed in the Orthodox Church and officially recognized as Elizabeth's heir. He arrived in time for Elizabeth's coronation in Moscow in April 1742. Elizabeth had a lively and easy-going disposition. The expenses of her court were enormous (it was said that she possessed fifteen thousand dresses! ), but contained seeds of long-term benefits for Russia. 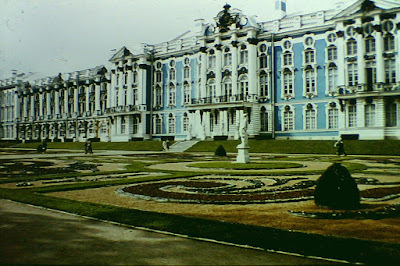 She continued to employ the Italian architect Rastrelli, who now built his masterpiece for her: the great palace at Tsarskoye Selo. One of her lovers helped found Moscow University and patronised Russia's first native-born polymath scientist: the former serf Mikhail Lomonosov. Elizabeth eased the duty of service to the state that her father had imposed on the nobility, but she intensified their power over their serfs, who could now be bought and sold as mere chattels. She lavished rewards on those of her father's supporters who still survived. The most interesting of these was an Ethiopian former slave known as Hannibal, who had risen to be Peter's friend and trusted commander. He was now promoted to major-general and granted a massive landed estate. Hannibal was to become the grandfather of the poet Pushkin. Elizabeth's accession coincided with a major crisis in central Europe. The Emperor Charles VI; Archduke of Austria, King of Hungary, Holy Roman Emperor and head of the great family of Habsburg; had died in 1740, leaving no sons but only a daughter, Maria Teresa. The Imperial crown was granted by election by the German princes, and for years Charles had canvassed the European powers to support the eventual election of his son-in-law, Francis, as Emperor. But now King Louis XV of France decided to stir up trouble against France's traditional enemy, and sponsored Charles Albert of Bavaria as Emperor. Meanwhile Prussia (eastern Germany) had a new King, Frederick II, to be known to history as Frederick the Great. He had been atrociously bullied by his father, who despised him as an intellectual pouff, and he was anxious to prove himself. He now took his first steps towards greatness by taking advantage of the confusion by seizing the Austrian province of Silesia and invading Bohemia. Thus began the War of the Austrian Succession, with Britain supporting Austria and Frederick changing sides whenever it was to his advantage. Russian was not directly involved, and indeed it was Frederick who recommended a suitable bride for young Peter. 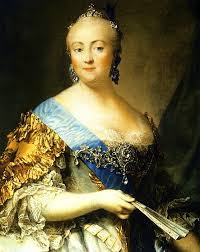 His choice was a promising fourteen-year-old German princess: Sophie of Anhalt-Zerbst, who was brought to Moscow in early 1744, to be taught Russian and instructed in the Orthodox faith prior to her marriage. All of this was to have momentous consequences, not just for Russia but for the whole of Europe. She was renamed Catherine. Frederick was the most brilliant general of the age, but he was massively outnumbered. His only significant ally was Britain; but Britain was now fully involved in a war with France, and the only help she could give Frederick was financial subsidies (amounting to several million pounds) to pay for his troops. But in battles against the Russians, such as Zondorf and Kunersdorf, Frederick's losses were unsustainable. The Russian war machine ground remorselessly westwards; a preview of what would happen in the 19th century under Alexander I, and in the 20th under Stalin. By late 1761 Russian troops had reached Berlin, and skirmishing Russian cavalry, Cossacks and Bashkirs, terrorized the Prussian countryside. Frederick had retreated into Saxony and was contemplating suicide. Then, on Christmas Day, at the moment of her greatest triumph, Elizabeth died of a stroke. She was fifty years old. 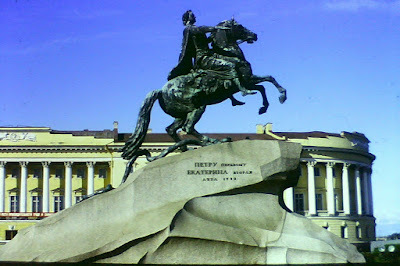 Her nephew duly succeeded her as Tsar Peter III. Footnote: Since writing this, I have read Simon Sebag Montefiore's new book: "The Romanovs", where you can find the full story.